Welcome to the December 2014 newsletter! Firts of all, we would like to thank you for your fidelity for nearly a year (Please continue!) and, of course, we wish you all our best for this new year and all the happy days around. This December you will have a large diversity of books, from the catalogue published by Taschen dedicated to the collection of GDR items of the Wende Museum (Los Angeles) to these two super photo books concerning Stephen Shore or the Road Trip. 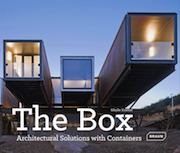 We also included the book by the founder of the Lagunitas brewery, one dedicated to the container architecture (that we love) and the comprehensive sudy about the Diggers movement in San Francisco. Good news for this end of the year, the Detroit Institue of Arts is saved! This means that our back list item will be Diego Rivera: The Detroit Industry Murals, a superb monograph dedicated to the frescoes by Rivera at the DIA. Art and artifacts from the GDR collection of the Wende Museum. Sustainable Architecture for Family Homes. A superb book dedicated to the he Detroit Industry fresco cycle by Diego Rivera at the Detroit Institute of Arts. Study devoted to the Diggers group in San Francisco. Photographs by Thomas Jorion of a famous swimming pool in Paris reopened as a new luxury hotel-club. Wrote by the founder, owner and CEO of the Lagunitas Brewing Company. Photographs from 1969 to 2013 by Stephen Shore. Exploring the photographic road trip as a genre. Copyright © urban-resources.net - December 2014 - All rights reserved.